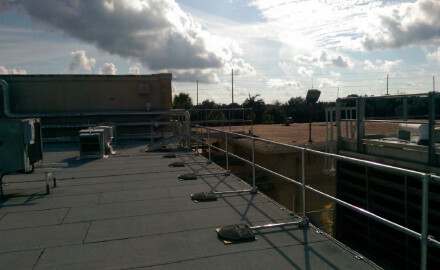 KeeGuard is a collective roof edge protection system that is easy to install, will not damage the roof membrane and can be removed or reconfigured if necessary. 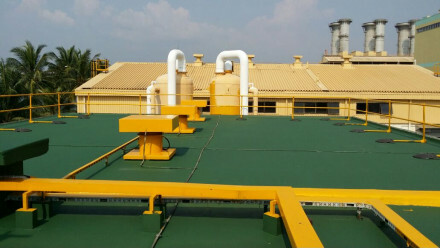 It is a hassle-free solution for those scenarios where you need ongoing anti fall protection for staff responsible for maintenance work on your roof. 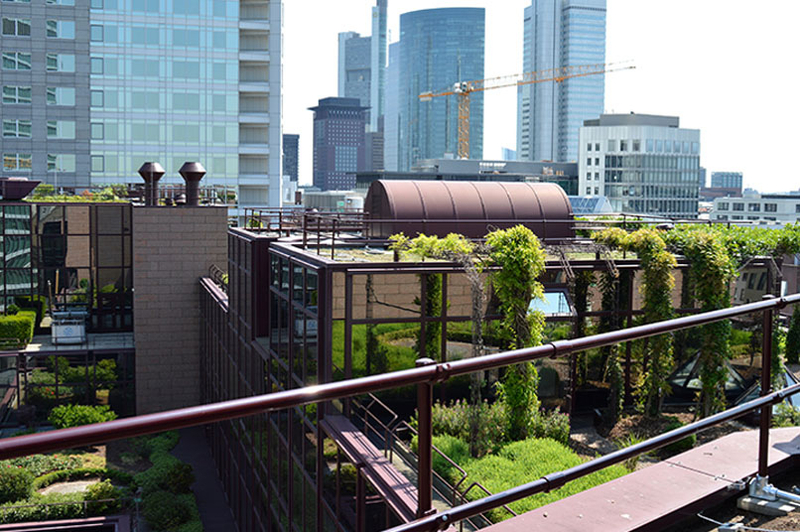 DZ Bank in Frankfurt were looking for a system that would protect staff from falls while they performed regular repairs on the roof and general up-keeping. 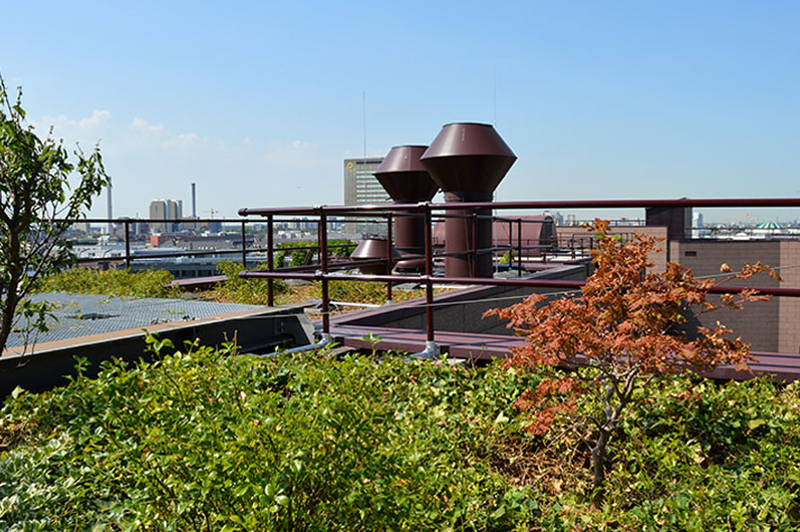 Their green roof areas also needed to be maintained. With these scenarios in mind, the bank required a solution that accommodated a relatively high volume of traffic on the roof. 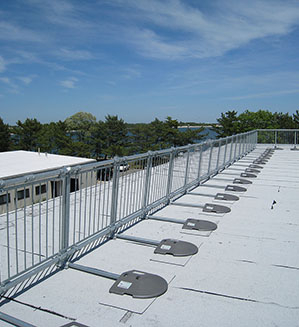 A roof guardrail improves safety for staff that would not necessarily be trained to work at height; it eliminates the need for special equipment and, most importantly, it makes it easier and safer for staff to get on with their job. This makes work possible at any hour and in almost any kind of weather. 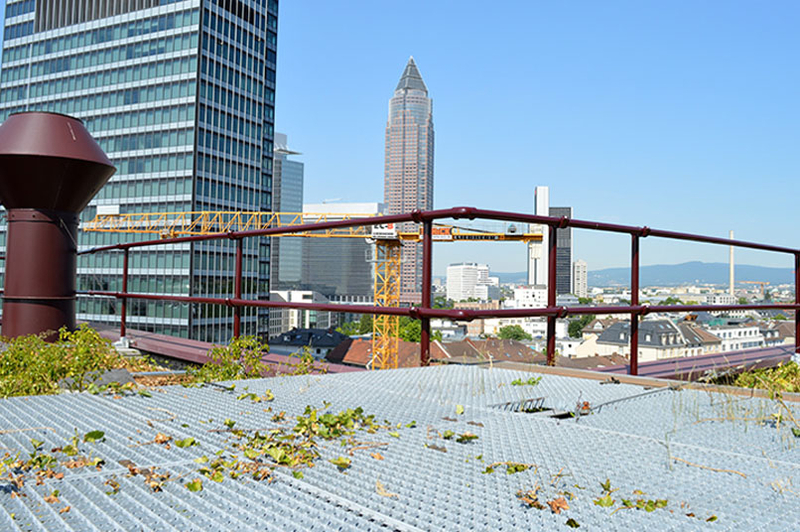 Maintenance of a green roof. 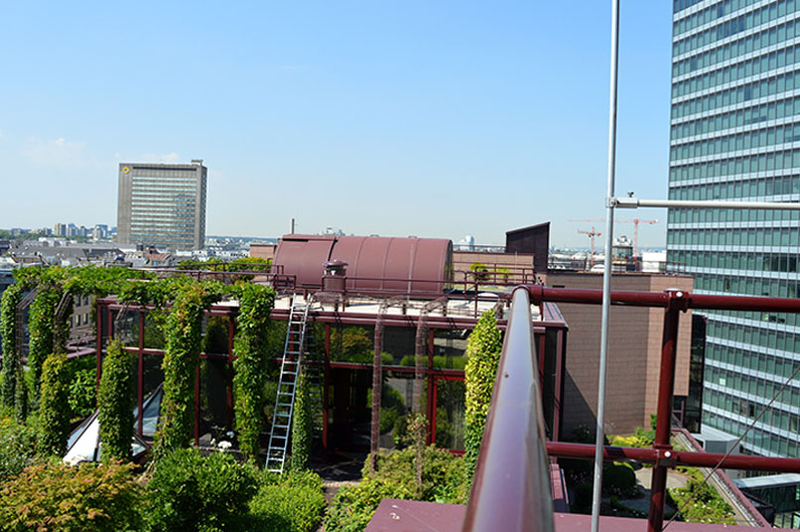 DZ Bank needed to implement 314m of freestanding handrails on 5 roofs and wanted KeeGuard to be powder-coated to match the rest of the building. In normal weather conditions, a team of 2 men should be able to install 100 linear metres of KeeGuard per day. We provide installation services for KeeGuard but, should you want to install the system yourself, you can buy it as a supply-only solution as well. KeeGuard can be powder-coated in any RAL colour and will be configured to suit your specific needs. Both the powder coated and galvanised versions easily withstand poor weather conditions. Polyester coating is applied to already galvanised products. 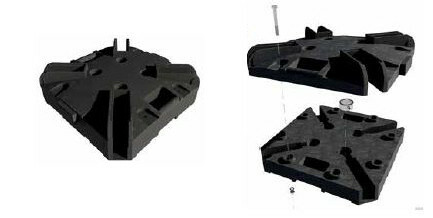 The lead time for powder coated KeeGuard is around 5 weeks, but it does depend on the size of the project. If you are interested in installing a collective protection system but you are not sure whether KeeGuard is suitable for you, read our KeeGuard FAQ or give us a call on 0844 335 8460. Introducing the new space saving guardrail for roofs: KeeGuard Premium. This KeeGuard installation video will show you how to install our roof edge protection rail.